On Sunday, I expressed concern about Congress enacting a permanent Medicare doctor “fix” without paying for it. Yesterday, the Washington Post chimed in with similar concerns. Thus, even as Congress struggles to enact one roughly $900 billion health bill, it also wants to hustle through a second $245 billion one. Moreover, Congressional leaders want to pass the permanent doctor fix without paying for it. All $245 billion would thus flow straight into our deficits. For a nation running trillion-dollar deficits, such profligacy should no longer be acceptable. We aim to advance free enterprise, fiscal discipline, economic growth, and the rule of law. Drawing on the expertise of practitioners, policymakers, and academics, we will encourage a spirited debate about the way forward for democratic capitalism. And we will do so in a manner that is accessible and engaging, in a way that appeals to both experts and non-experts. I hope to contribute additional pieces to e21 in the future. The Senate is preparing to take up a bill to implement a permanent “fix” to the rates that Medicare pays for physicians. That bill is expensive, costing almost $250 billion over the next ten years. But Congress doesn’t want to pay for it. Everyone concerned about our budget situation should oppose this latest example of Washington profligacy. Under current law, the rates that Medicare pays physicians are scheduled to decline by more than 20% at the end of the year. No one, least of all the doctors, wants this to happen. So Congress is looking for a “fix”. This problem is not new. It began in 1997, when Congress decided to limit the amount spent on physician services in Medicare. The idea was that spending above the target would be offset by reductions in physician payment rates in the future. 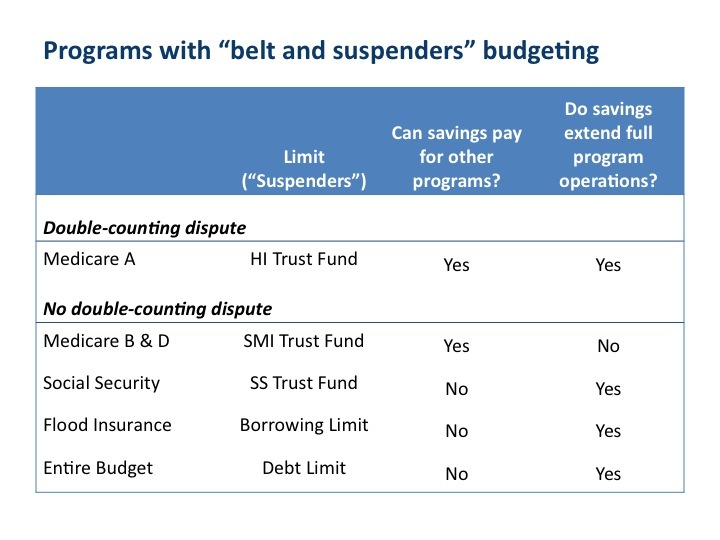 However, Congress has repeatedly flinched from implementing those reductions. Moreover, Congress often decided to avoid near-term reductions by promising to cut payment rates even more in the future. That’s why there’s an accumulated “debt” requiring a 20+% cut in rates now. With encouragement from the President, many Congressional leaders want to eliminate this issue once and for all by enacting a bill that would provide payment increases to doctors, rather than dramatic cuts, at a cost of $245 billion over the next ten years (and unmeasured amounts in the years beyond). And here’s the kicker: they want to spend that money without paying for it. So all $245 billion would flow straight into our deficits. For a nation running trillion-dollar deficits, that’s unconscionable. 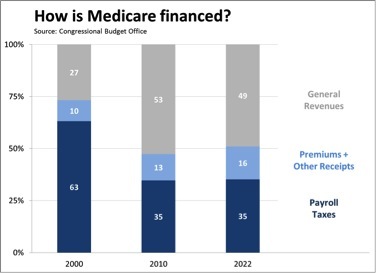 Proponents of this profligacy will argue that (a) it’s essential to fix physician payments once and for all and (b) doing so now is no different from the doctor fixes Congress has enacted in previous years. Both of those arguments are wrong.